(Bali, August 2018) ) Samabe Bali Suites & Villas has won the award for “Best Leading Romantic Resort”. It is special recognition to property, which in the opinion of experience romance travel professional, standout and beyond all others. 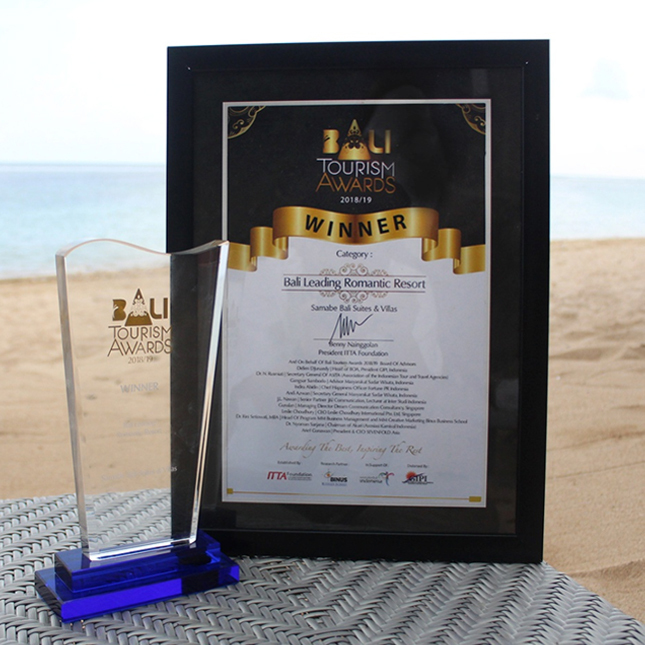 The Gala Award Night of Bali Tourism Awards 2018/2019 was held on Monday 27th August 2018 in Inaya Resort, Nusa Dua, invited travel and tourism industry leaders, government leaders, diplomatic representative, community leaders, local and international media to celebrate the victorious night.